When the time for a new gate has come, hire us to complete the installation project perfectly in the shortest time. We rely on our extensive experience, excellent organization and dexterous work to deliver the ideal outcome fast. Our company carries out installation projects of all sizes and levels of difficulty. It does not matter what material the gate is made from or how large it is. The design is completely irrelevant as well. The system is fully automated as part of the service. A driveway gate opener and an intercom are installed as well. All that's left for you to do is start using your new electric gate! You can rely on us well before the installation work begins. Our specialists are readily available to help you with making the right choices when it comes to gate type, make and design. You will get an overview of the options available to you given the specifics of the place where the system will be set. If the terrain is hilly, for instance, you will need a sliding unit. 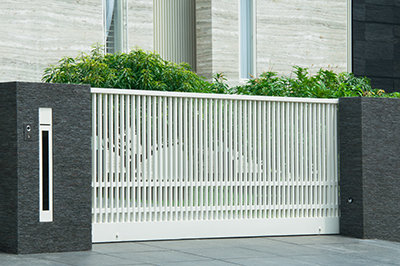 You will have a clear idea of the advantages and disadvantages of each of the materials to best decide between wood, iron, aluminum and steel gates. We will make sure that all components from the posts and the panels to the moving metal parts and the opener will be of high quality. 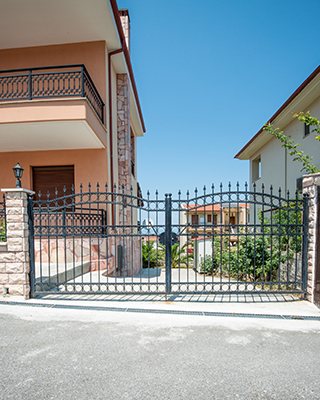 Each project for residential gate installation is unique and requires an individual approach. From us, you can expect a precise plan of action and a clearly set work schedule which will be followed strictly. This is how you will get the best result, fast. The posts are set firmly into place regardless of the pavement and the specifics of the soil. The panels are secured with great care and will be covered with protective paint, stain or wax to prevent the elements from causing harm to them. At "Gate Repair Yorba Linda", we use only the best products for this task and offer a variety of color options. The position of the opener is chosen with the help of accurate measurements. The device is installed and all of its settings are adjusted precisely. The gate remotes are programmed for you as well. Safety loops and sensors are set into place as well. Wiring of the highest quality is used for the loops. Rest assured that they will stay firmly in place, regardless of the make of the pavement. The final stage involves the installation and programming of the intercom. The new gate will operate perfectly for many years to come with proper maintenance. Our company can do this job for you as well. Our service includes thorough inspection and timely gate repair when required. Dial our number now to get a quote.